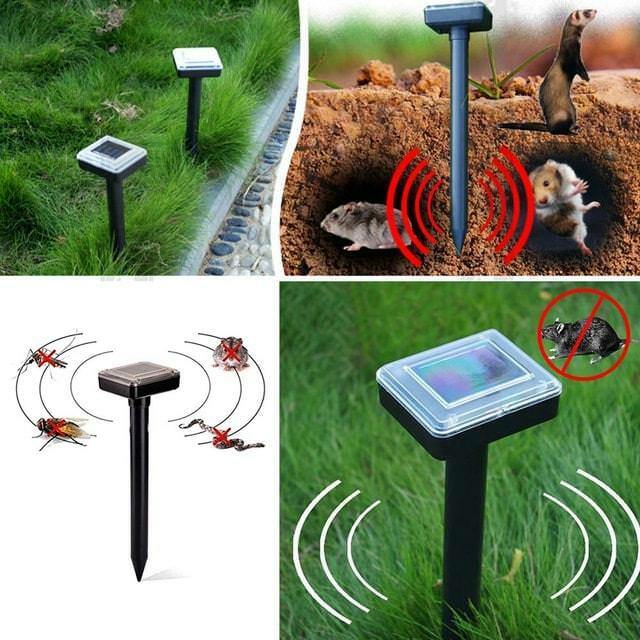 Use this solar-powered pest repellent to keep moles, gophers, voles, badgers, mice and snakes away from your lawn, gardens and yards forever! The repellent produces a sonic tone underground at 30 sec intervals, over an area of about 6000 sq feet to drive them out. If you had a big yard, it will be more effective to put several units. The unit is designed to be used outdoor for it to receive enough sunlight. The spike should be firmly planted while leaving the base of the head 3" to 4" above the ground. 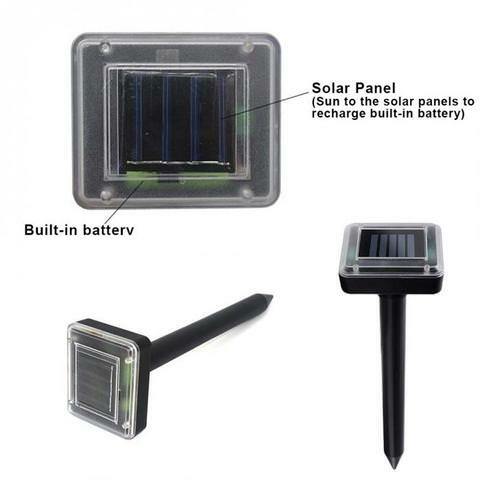 1 x SOLAR POWER PEST REPELLENT.